When heading to the office, the gym or out for the evening it is important to look and feel your best, and our range of men’s shavers will help you to achieve that. We offer a host of different options when it comes to keeping yourself looking neat, from simple nose trimmers and beard clippers to multi-functional grooming kits for a more professional finish. Most products in our wide Range of Men’s Clippers can be connected to the mains or operated on battery power, giving you complete freedom and versatility during use. They are small and lightweight too, meaning you can take them with you and style wherever you are. What’s more, many come with at least two years guarantee as standard. Our trimmers come with a multitude of different accessories to ensure that you get the look you desire, including jawline combs, moustache combs, interchangeable heads plus adjustable cutting lengths. 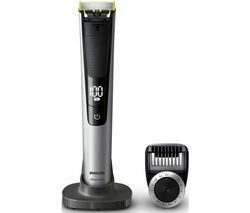 Our selection of men’s trimmers include trusted brands such as Babyliss, Philips and Remington and start from as little as £9.99, offering you great value for money. 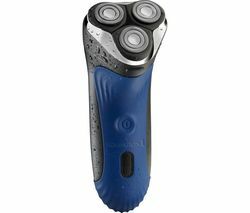 If you want an easy, convenient and cost-effective way to enhance your grooming routine, look no further than our range of men’s trimmers and clippers.